Copyright © 2017 Lone Wolf Magazine, All rights Reserved. I’ve grown up being scared and loved, terrified and protected, beaten and championed. Seeing two sides of everything emotionally and physically made me wonder what I could do to direct things to a world filled with beauty and love. LW: Hi Toni, thank you for the interview. Researchers say that creative people are more likely to be left handed, to remember their dreams, and to have a messy work environment, do you find any of this to be true? 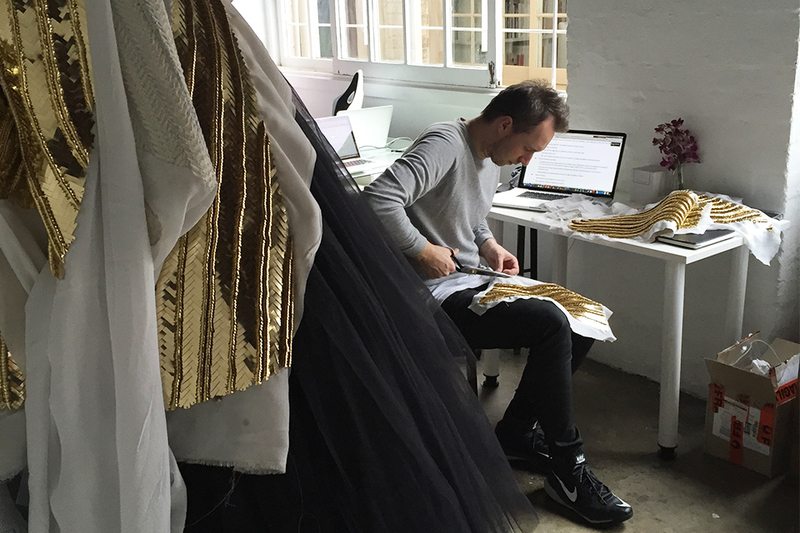 Toni Maticevski: I’m right handed when I write, but I pretty much work equally with both hands when I sew, drape, design and create. I remember all of my dreams. I keep a record of them and try to draw them as often as I can. I wish I could recreate some of the colours and images – I think even with CGI I would struggle to re-create them. I hate clutter. I will stop work to clean the studio if I need too. I need a clean space to have clear ideas. I’ll vacuum up to three times a day to have a clean space where my thoughts are uncluttered. Having said that, it’s still a sporadic, unpredictable process. I feel the fashion world is pretty saturated across all levels. Sometimes I feel like the business and critics run fashion. To me there are a lot of product developers masking themselves as designers/artists. LW: Ok, so two out of three. Do you consider yourself an artist? How do you think artists differ from other people? Toni Maticevski: Sometimes I wonder whether I could consider myself an artist, but then I forget and get distracted by the pile of work that’s grown in front of me. I don’t allocate much time to thinking about what I am and how I feel about my work. I wouldn’t say I was an artist, but I would say that I do approach fashion unlike a designer usually does. Some artists spend too much time analyzing ideas, and for me, I like to roll with what ideas come to me and hone in on them instead of thinking why they are there and what their meaning is. I have a lot of friends and colleagues who say that they can’t visualize and imagine their ideas, which to me is so strange. I couldn’t imagine not having that. LW: That ability to visualize ideas is actually another common characteristic of “creative types” would you say that visualization is a big part of your work? Toni Maticevski: I think so, if I had to, I’d liken my work to Photoshop. It is this strange augmentation of ideas that I have stored in my head, including research and study of the masters and even my contemporaries. Of all aspects of nature and life experience that come to a place and blur together. I think of fashion as a question of how much I can augment the idea to make it my own and differentiate it from everyone else. It’s strange how someone can completely break your spirit and soul, but how work can revitalize it and strengthen it. I love that about being creative. It’s my band-aid. LW: They say creators tend to be terrible at dealing with critics. How do you respond to rejection? Toni Maticevski: I don’t think anyone likes to be rejected or criticized. But I guess it’s always a test to see how resilient a person is and how driven they are to their goals. Sometimes it’s a test of seeing whether one can support and stand up for their ideas, no matter how silly or unimportant they may be perceived as. I think it’s those moments that really set a designer, artist or anyone creative apart. It’s easy to follow in a vein of what’s happening and survive and be successful. 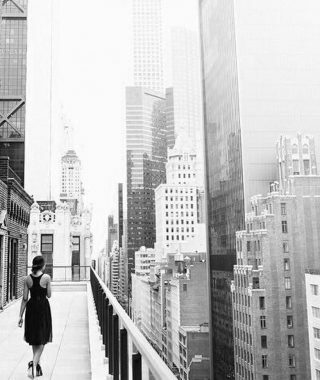 It’s harder to stand apart and own your own space. I like to think that I have been very lucky in owning my own space – it has not been easy. I may not be as far along as I or others would have hoped but I know that in my very short time of working I have created a language and ideal that no one else can own. I’ve grown up being scared and loved, terrified and protected, beaten and championed. Seeing two sides of everything emotionally and physically made me wonder what I could do to direct things to a world filled with beauty and love. Fashion is something that has many layers and involves people and elements of all these dualities. 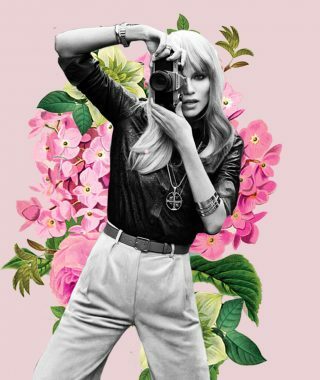 Like music I think fashion can be utterly bewitching and hypnotic. People just want more. To see more, to absorb more, to taste more. I’m guilty of it too. Sometimes I do think it would be more interesting to create collections and images when I felt like showing them, not because it was the scheduled season to. I’m not sure if my emotional and perceptive nature is a result of my sensibility or of my upbringing. Growing up as I have gives one a really hard shell. It cracks, but only when it’s being sledgehammered down. It last happened to me earlier this year. It’s strange how someone can completely break your spirit and soul, but how work can revitalize it and strengthen it. I love that about being creative. It’s my band-aid. LW: How does business affect your creativity? 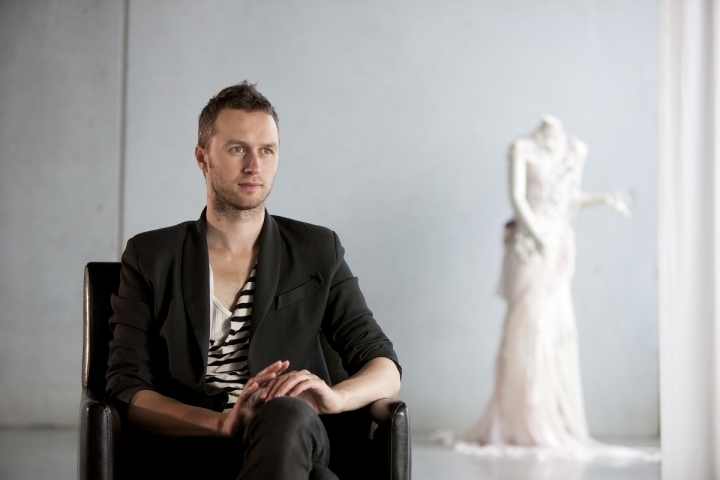 Toni Maticevski: I am growing to love the business side of my work more everyday. I am very hands-on in all aspects of business and design, more so today than ever. I am inspired by how the business side can reflect on what I do with the ready to wear collection. It’s thrilling making clothes that people love and want to wear with passion. On the flip side I like making things that are purely creative experiments and may not necessarily have a home or place anywhere except in my own development. I don’t think anyone likes to be rejected or criticized. But I guess it’s always a test to see how resilient a person is and how driven they are to their goals. Sometimes it’s a test of seeing whether one can support and stand up for their ideas, no matter how silly or unimportant they may be perceived as. LW: How do you think the internet, and that kind of crazy accessibility on an unimaginable scale, has affected your work? 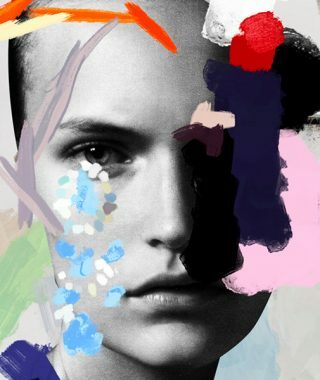 Toni Maticevski: It’s amazing how the Internet has changed our relationship to art. It’s incredible how veracious it is. People just want more. To see more, to absorb more, to taste more. I’m guilty of it too. Sometimes I do think it would be more interesting to create collections and images when I felt like showing them, not because it was the scheduled season to. LW: You’re so busy, do you ever burn out creatively? Toni Maticevski: I don’t really seem to have period of burn out. I have the opposite usually; it’s hard to edit ideas. So many things trigger ideas for me constantly. It’s forever a branching tree. 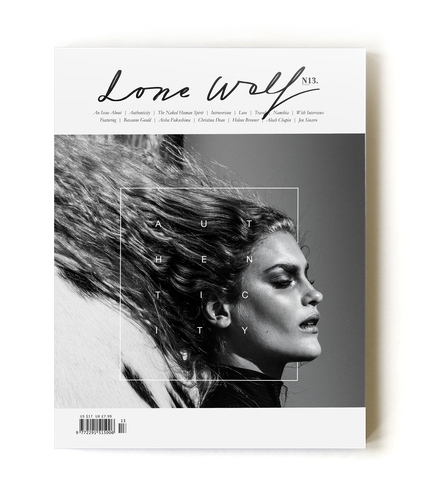 Natalia is the editor in chief and publisher of Lone Wolf Magazine. She founded the publication in 2012. Buy the latest issue here! The unfed mind devours itself. 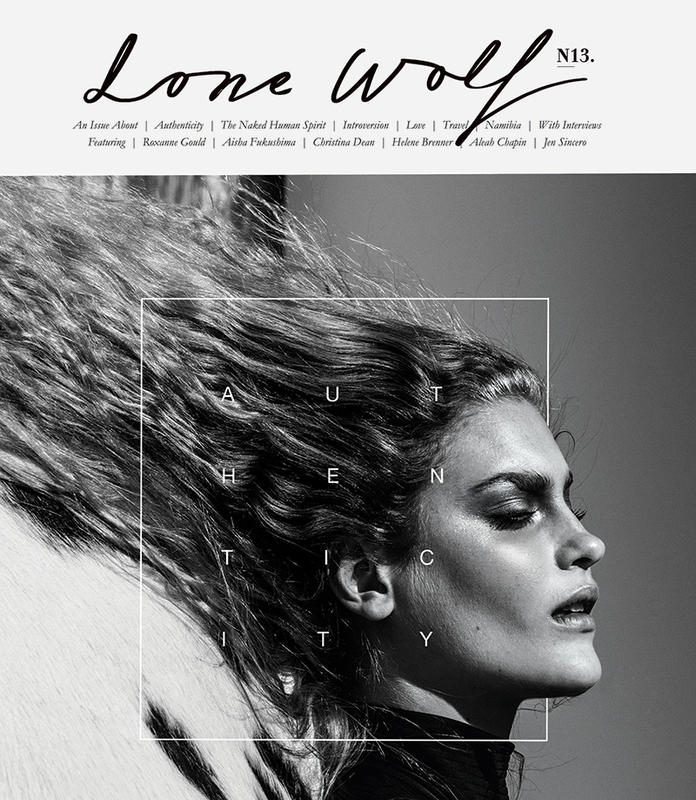 Lone Wolf is a magazine dedicated to feeding your mind and spirit. Buy the latest volume today! Copyright © 2016, Lone Wolf Magazine. All Rights Reserved.